SharpDevelop 3 which can be downloaded from build servers here is looking pretty good for revision 3 of my favorite .NET Open Source IDE and maybe even favorite overall considering it responds quicker that everyone’s .NET tool VS.NET. The latest revision in builds just got the WPF and XAML tools in there. I tend to not use SharpDevelop for website development but do so for class libraries, apps and maybe forms development on occasion. This might help the layout side of things for the next gen of user interface development in .NET beyond just Expression. One thing that has been apparent with IDEs as sometimes as they grow in size and scope and try to add more features, it is actually a slow down in some cases. I have been slowed from VS.NET 2003 to 2005. They are great tools but things start taking longer, it seems it should be the other way around. When I need to just bust out a class library many times I do so in SharpDevelop because it is responsive and quick. I just hope they retain this speed. I unfortunately like to work on many projects at once so my IDE has to be smart about long processes (I curse you pending checkins! In 2004 when in beta VS.NET forced me to external IDE source control in Subversion and TortoiseSVN – much happier now). XAMLPad right now is a pretty good quick development tools for XAML as well beyond just Expression and VS.NET Orcas Beta. 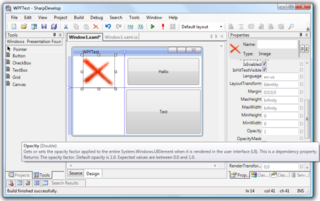 Be sure to try out SharpDevelop if you have not yet and develop .NET or would like to start. It is a great IDE and has some good extras like converting C# > VB.NET buffers whichcan be extended out to a service. Microsoft has been busy pushing the DLR (Dynamic Language Runtime) and there is many interesting developments from C# 3.0 to IronPython and now Microsoft released IronRuby public alpha. Will these languages be treated like J# and JScript.NET? We shall see. If they perform better than their counterparts it might make python and ruby coders able to take on more platforms and capabilities. It is still only pre-alpha and missing much but like mono.net, it can have an impact when platforms and languages merge. Earlier this year, Microsoft assured developers that it would be continuing to build languages on top of the Dynamic Language Runtime (DLR). Considering that IronPython had been a success in terms of implementation, the company decided that it would make an attempt at bringing Ruby into the world of .NET. With the help of Ruby expert John Lam, today the company announced that a pre-alpha build of IronRuby is now available. You heard it right, this release is pre-alpha—many Ruby features and libraries have not yet been implemented. For IronRuby fun ScottGu has a great blog post on getting started with IronRuby. 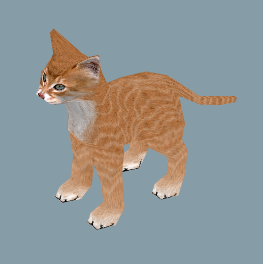 APE an actionscript physics engine and it recently moved from LGPL to MIT license, updated to version .45 and added a new walker demo. Although the Google group is available there is no RSS feed of releases for this engine so be sure to check back for new releases of APE Physics Engine for AS3 from Alec Cove. This has to be one of the best ads I have seen online in some time. If you like JohnK cartoons (Ren & Stimpy creator) check out this excellent Comcast ad by JohnK and his production team. This is a good example of the right amount of Flash in mixed media content environments. Short, quick and entertaining, and gets the message out. JohnK has always been a good proponent of Flash and using it for web cartoons. The Goddamn George Liquor Program and Spumco (now defunct) were essentially the first online cartoons and web toon shops before even CampChaos, joecartoon, icebox etc. 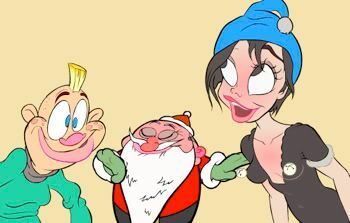 If you are into illustration and web movies of your toons be sure to check out JohnK at all kinds of stuff regularly. Right now for webtoons, shows, games, interactives, web based apps there is no match to Flash. 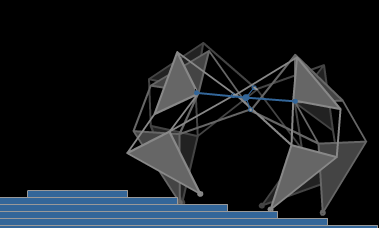 Polygonal labs who has the lion share of cool physics demos with their motor physics engine has posted another excellent physics demo. This demo should be called the Jedi demo because when you move the particles around it feels like the force is helping you out that is how cool this physics engine is. Sample Silverlight textured 3d in a pretty slick Vista Silverlight theme. It is a pretty impressive demo that is full screen app and a slight performance test with the 3d in it. 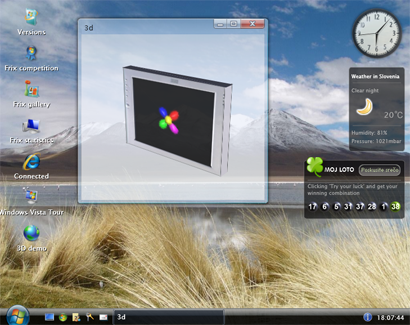 I would love for some kits like papervision3d, Sandy etc to be ported to Silverlight. 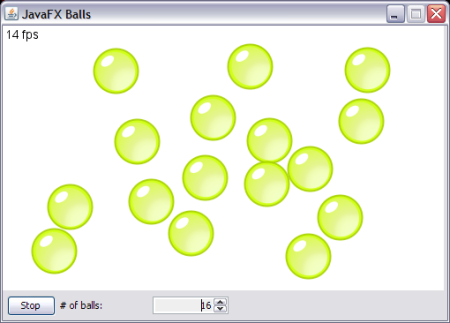 There are some other early 3d works from bubblemark, a 3D engine recently released in early stages called Balder (source at codeplex), pageturns, and more but it is still pretty young. 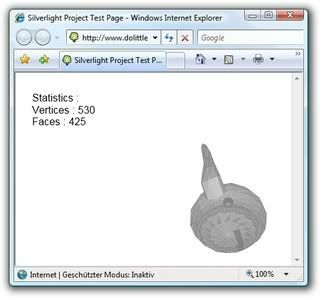 But until Silverlight is available in the market it will hard to justify projects in it unless they are demos or technology show pieces. When it hits around 85% market availability and is finalized (it is currently 1.1 Alpha) it could be dangerous. 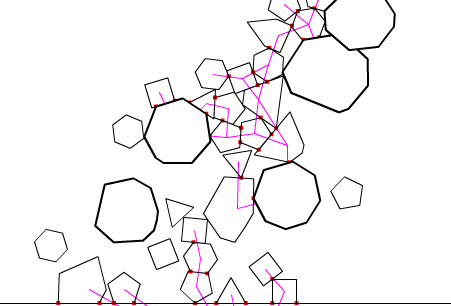 Rafajafar posted a great tutorial on 3D Flash Perlin Noise dynamic terrain generations with AS3 and Sandy. 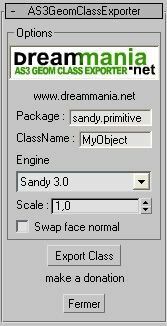 Sandy is a flash 3d engine that has been out just a little longer than Papervision3D. The code for Sandy is very clear and it is a great engine. 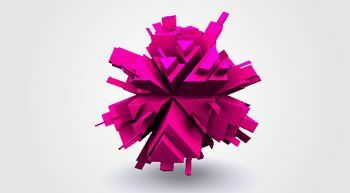 I have experimented with it and found it to be a bit slower it seems that papervision but it has great tools, including an extra 3ds file importer in addition to the Collada and ASE formats that most flash 3d engines support. 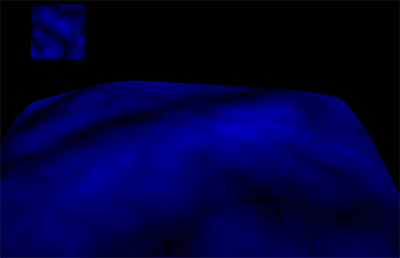 Using Perlin Noise is very common in 3d engines to draw large terrains and realistic terrains for 3d games or simulations. This technique makes it very easy to make dynamic terrains or randomly generated terrains, water effects, fire, clouds, whatever your need. The demo has terrain generation class that can be used to build the dynamic terrain generation and the perlin noise material movement. Samples using the TerrainCreator class to make different terrains. This could be used to also make level editors and other components of the game making pipeline in flash 3d. Click here for the full tutorial and source files on 3D Flash Perlin Noise dynamic terrain generations with AS3 and Sandy.